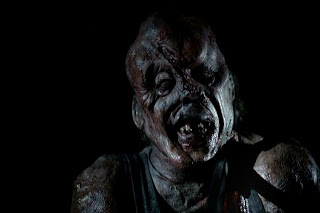 The first Victor Crowley movie with the "Old school American horror" tagline came out in 2006 with an all star horror movie cast including Robert Englund, Kane Hodder and Tony Todd. Again, Green has managed to round up another great cast featuring everyone's favorite horror movie darling Danielle Harris. Kane Hodder and Tony Todd are also back for the second time around. The first film received mixed reviews from critics. Rotten Tomatoes reported that 47%of critics gave positive reviews based on 38 reviews. Another review aggretator, Metacritic, the film has received a 57% approval rating based on 8 reviews. Harry Knowles of Ain't it Cool News, described it as "...Pure old school horror fun." 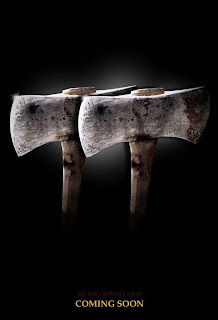 and picked Hatchet as one of the "Top 10 Films of the Year" for 2006. Watching the first film brought me back to the classic 80's slasher type movie. I can see Victor Crowley as the next Jason, Michael or Freddy. I look forward to the sequel and hope that Adam Green can keep with the same pace of the first one blow me away again.